From our newest Cross collection......just in!!! 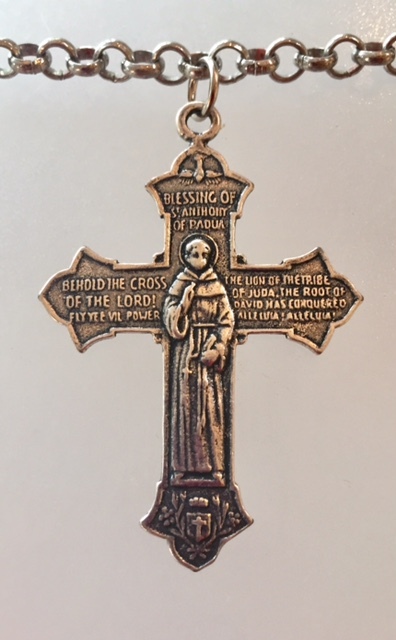 A 2 sided French Cross featuring Saint Anthony on one side and Saint Francis on the other, like 2 crosses in one! 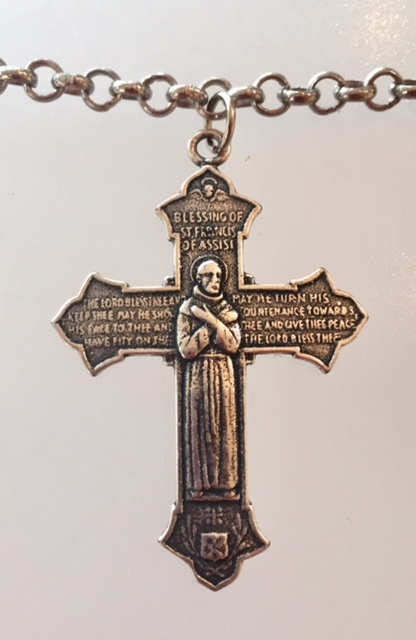 This is cast from a Very Rare antique religious cross from the 19th century. The Cross is suspended from a silver rollo chain. Chain is 22" long, cross is 2" Long. 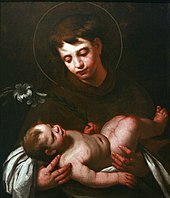 Saint Anthony of Padua, born Fernando Martins de Bulhões (1195 – 13 June 1231), also known as Anthony of Lisbon, was a Portuguese Catholic priest and friar of the Franciscan Order. He was born and raised by a wealthy family in Lisbon, Portugal, and died in Padua, Italy. Noted by his contemporaries for his forceful preaching, expert knowledge of scripture, and undying love and devotion to the poor and the sick, he was the second-most-quickly canonized saint after Peter of Verona. Saint Francis of Assisi , born Giovanni di Pietro di Bernardone, informally named as Francesco (1181/1182 – 3 October 1226), was an Italian Roman Catholic friar and preacher. He founded the men's Order of Friars Minor, the women’s Order of Saint Clare, the Third Order of Saint Francis and the Custody of the Holy Land. Francis is one of the most venerated religious figures in history.